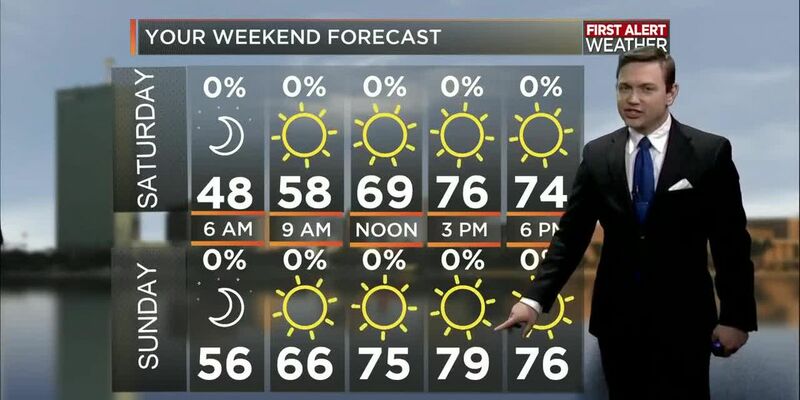 LAKE CHARLES, LA (KPLC) - Through the rest of the day, it will be cloudy with a couple stray showers possible. I have a 30% chance of rain today since a cold front is stalled right over us. That may be enough to cause a few more showers to pop up later today. I do not expect much sunshine today. That will keep temperatures just a little cooler. Highs will be in the upper 70s. This evening, there will be a lot of clouds around with some showers likely. I am keeping a 30% chance of rain for this evening if you have any outdoor plans. It should not be a washout, but I would keep an umbrella with you just in case. At times, the rain may be heavy. Temperatures will remain warm in the 70s. Overnight, it will remain cloudy with a slight chance of rain. There will be a few showers here and there, but nothing major overnight. It will be more like sprinkles tonight. I am keeping the rain chances at 30%. With all of the clouds and southerly winds, the temperature will not cool down much at all tonight. Lows will be in the upper 60s to lower 70s. Saturday will have a lot of rain around. It is the day to try to be indoors. 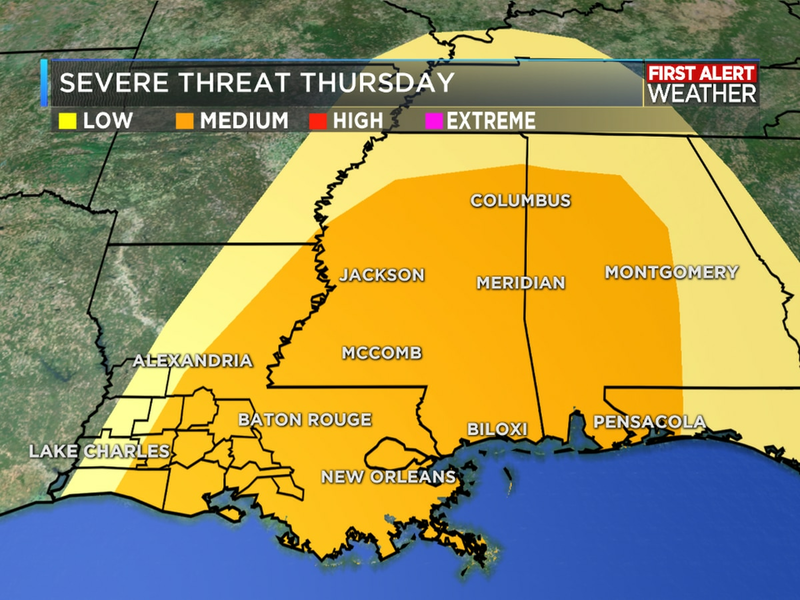 There will be a lot of showers and thunderstorms with the potential for severe weather. All aspects of severe weather are possible. 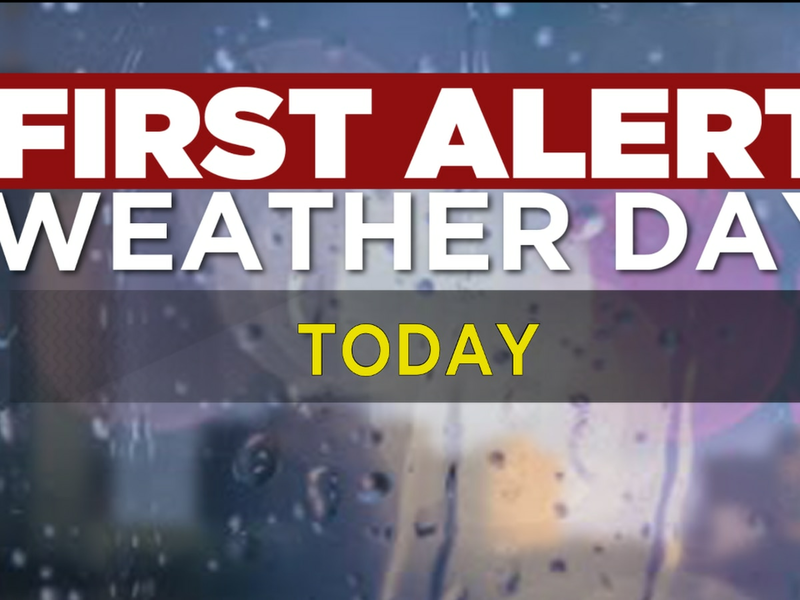 That includes hail, damaging winds, tornadoes, and flooding. 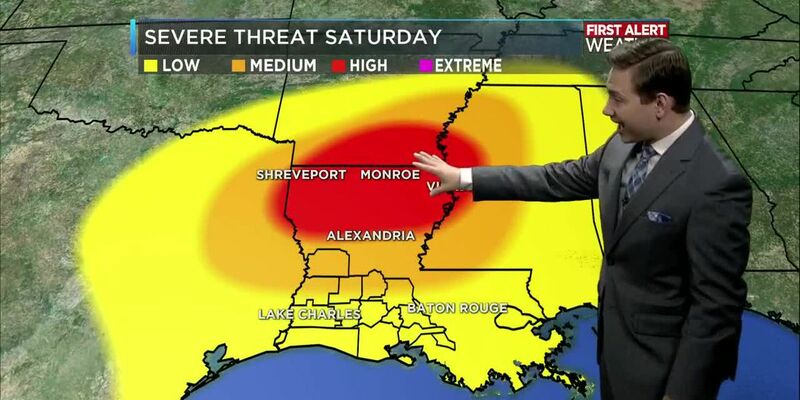 Everyone across Southwest Louisiana are under at least a slight risk for severe weather Saturday. As the cold front sweeps through the area Saturday, it will bring a lot of rain, especially in the afternoon and evening. By Saturday night, most of the rain will come to an end. There will be no more strong storms by that time; only some light rain. Then throughout the night, the rain will end, and the clouds will clear away. Sunday will actually be a nice day. 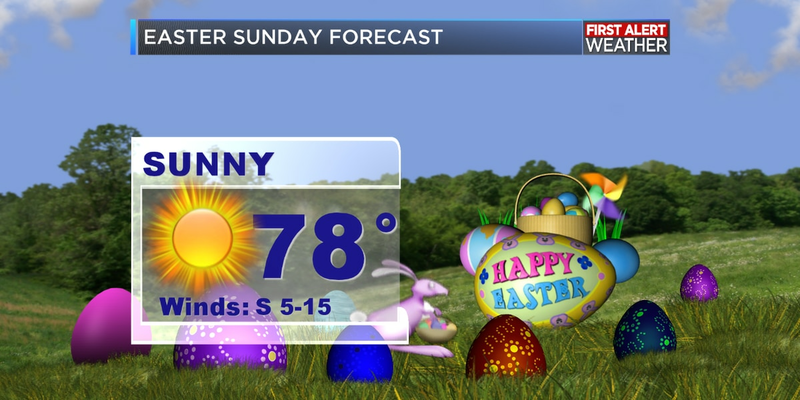 I have taken out the rain chance completely for Sunday. There will be a few clouds in the morning, but the sunshine will return in the afternoon. It should be a very nice day. Temperatures will also be cooler with highs in the afternoon reaching the lower 70s. Some places may struggle to get out of the 60s. By next week, the weather is looking better. There should not be any rain on Monday or Tuesday, but there will be a few clouds. There will also be plenty of sunshine mixed in as well. Tuesday will have a few more clouds, but it will still be nice. So, it should be a great start to next week. Temperatures will be in the mid 70s in the afternoon. By Wednesday next week, the rain will be back. Another cold front will be moving through from the west. Since it is from the west, it will not affect our temperatures very much. The rain will likely last through the day on Wednesday and should come to an end by Thursday next week. The clouds will be around and then the sunshine will come back out. The timing on the next cold front will be in question. It is unclear if the cold front will move through Wednesday or Thursday. Both days I have the rain chances up to 60%. 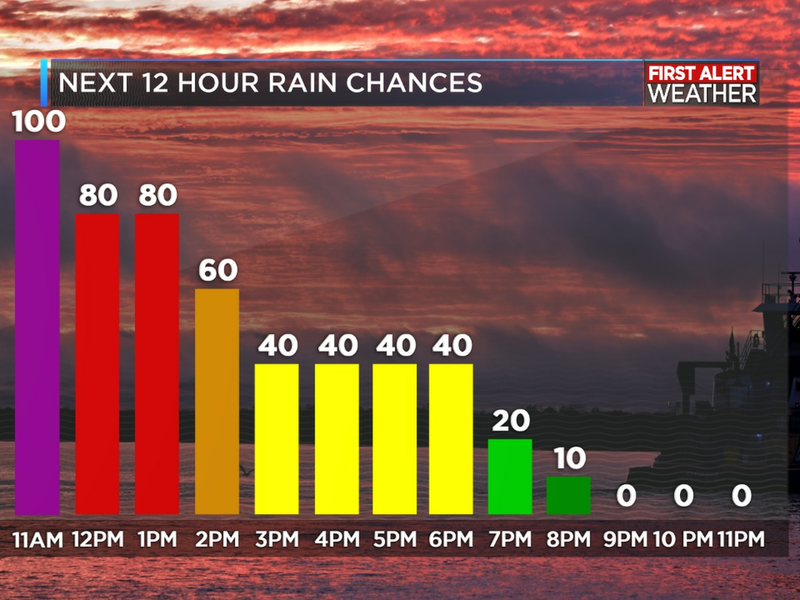 Until we iron out the details about what to expect and the timing of the front, the rain chances will remain high.